Join us in celebrating March Reading month with this one day event. In the house we will have both the author and illustrator of Rainbow Hair! Author Patricia Grimley : Born and raised in Saginaw, MI, attended Michigan State University, taught Social Studies and English at St. Charles Middle School, now retired, has a daughter and a son and 6 grandchildren. She is a breast cancer survivor. Illustrator Carole Grimley: Long time Battle Creek resident and Art Center member. 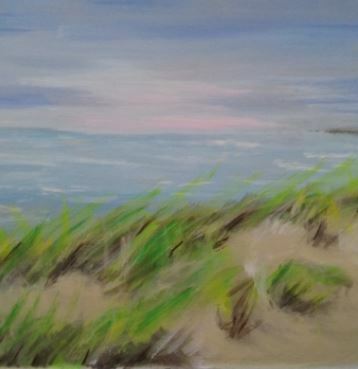 Grimley donates much of her time and talent in support of the Art Center and the community in which she calls home. Open to all ages. The event begins with a reading of by the author and moves onto a hands on workshop where participants will create their own Rainbow Hair doll! 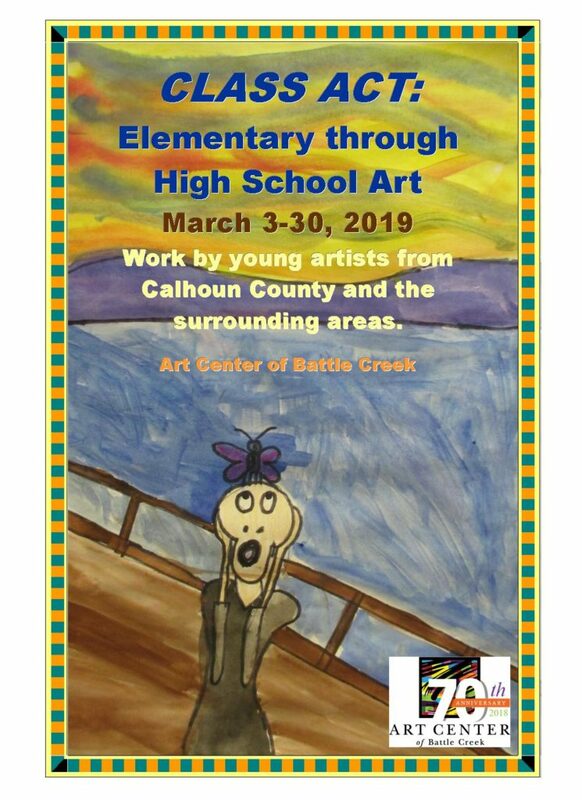 Artwork from area students grade K-12 fill both galleries during this exhibit, making it truly a treat for art lovers of all ages! Guidelines for educators can be found under the About tab on our For Educators page. You need to bring your own food and drink if you choose to. These sessions are on the third Wednesday of each month—the topic of the painting will be determined before each session. These sessions are “mini” fund raisers for the Art Center and the proceeds go to Art Center operations. 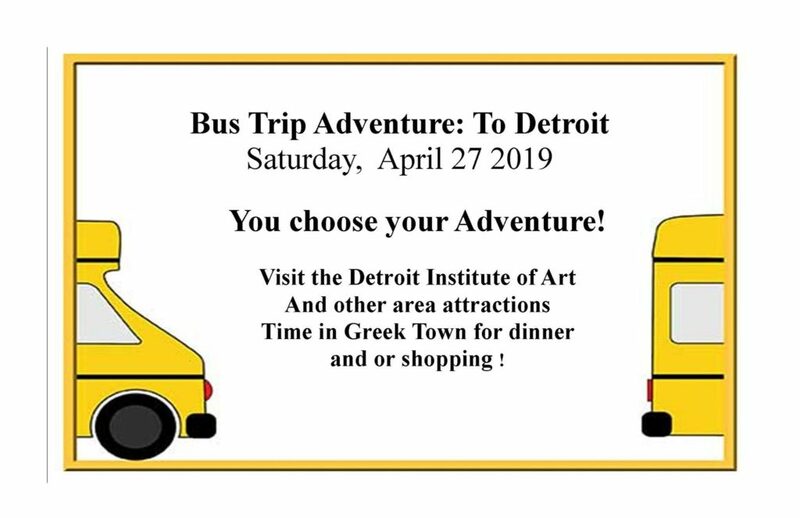 Our bus will stop first at the Detroit Institute of Art and from there you may choose your adventure! Visit the Detroit Institute of Art, Detroit Main Library, Charles Wright Museum, Museum of Contemporary Art , other sights in the area or shop on your own. Next stop will be Greek Town where you can grab a bite to eat and or do a little shopping! Week of January 21st Winter classes start. March 9 Pour It On 12-2 Registration required. March 16 Rainbow Hair Book Event 1-3 pm Registration required. 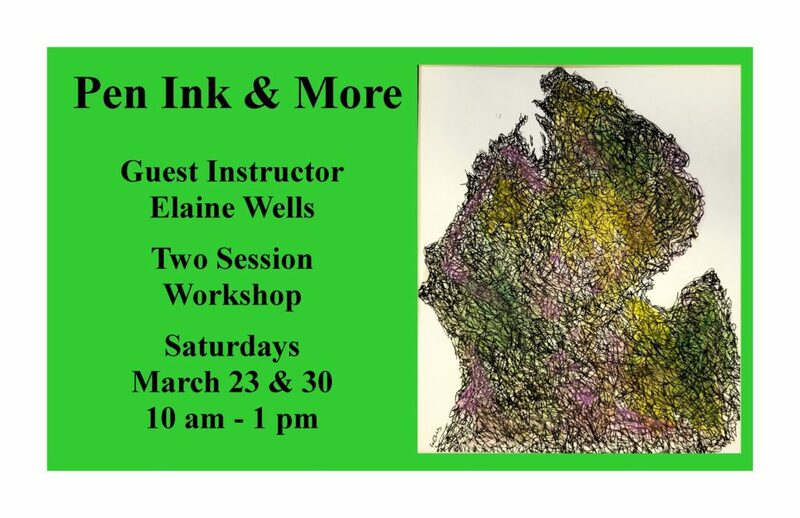 March 23 & 30 Pen, Ink & More 10 am – 1 pm Registration required. Week of April 15th Spring classes start. Week of September 16th Fall classes start.